Tonner, Phyn & Aero, P17NADD08, 2017, Roses are Red, Violets are Blue, Story Book Doll Set. 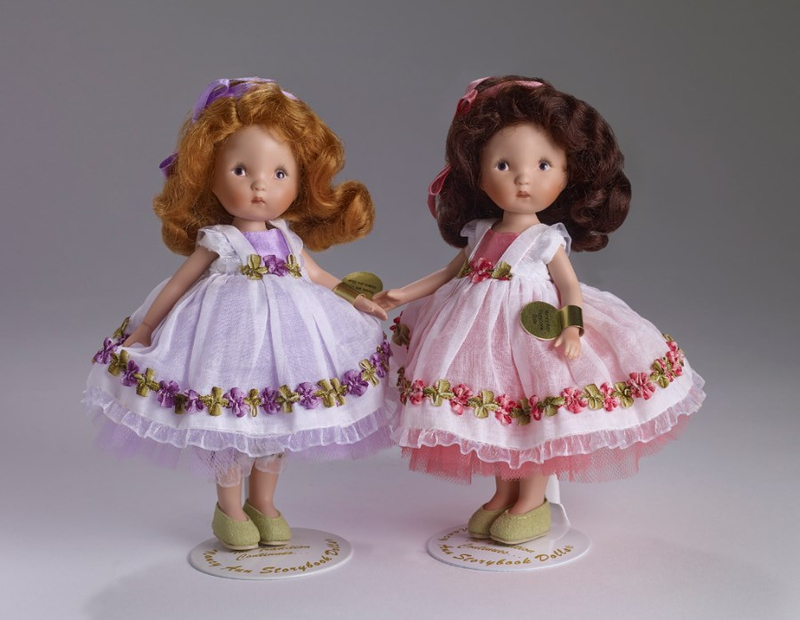 Both dolls are six inches tall, hand painted and are made of the finest bisque porcelain. Red wears a dark brown mohair wig decorated with a pink ribbon and Blue has a red mohair wig with a light purple ribbon. Both girls wear snow white organdy dresses trimmed in ribbon flowers over tulle petticoats. Of course, Red wears a rose version while Blue wears a violet version and they both have stripe silk taffeta pantaloons and spring green “suede” shoes. 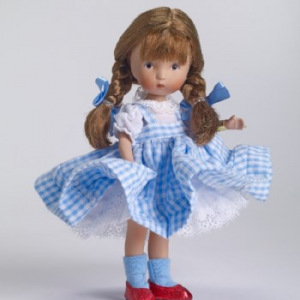 Both dolls arrive with their gold foil wrist tags and perfect fit doll stands.